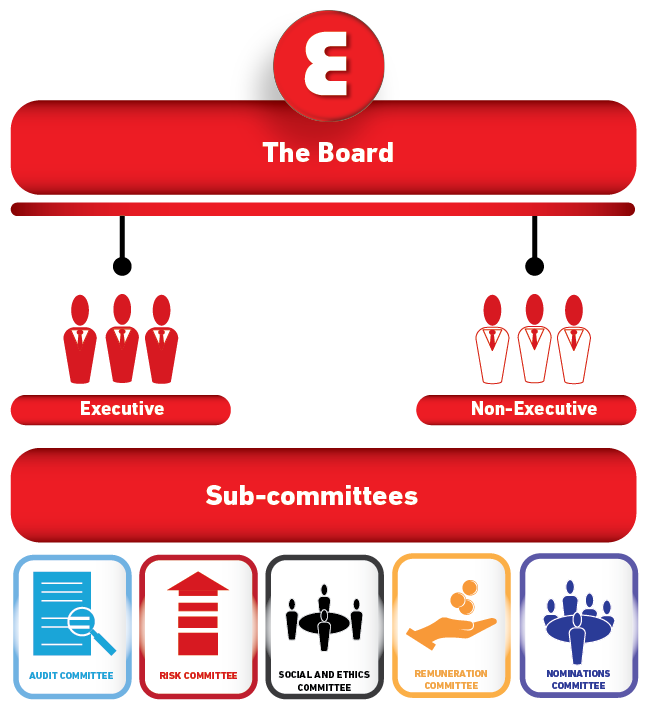 The Board has set values for Ellies and these are incorporated into the Group’s Code of Business Conduct. Within the Code, we have articulated our ethical values and our behavioural standards. This foundation remains the Board’s platform to lead Ellies sincerely and honestly. The Group’s standards of integrity and ethics in dealing with its stakeholders at large are included in the Code of Business Conduct. Every employee is expected to adhere to these principles and values to deliver exceptional value to our stakeholders. This is not merely a matter of knowing the “rules”, but of repeatedly exercising moral thinking and applying the guidelines outlined in the Code. The Code of Business Conduct is reviewed by the Board and management periodically to ensure that the Group remains differentiated by people who are resolute, trustworthy and responsible. Ellies’ corporate governance structures and policies are evaluated on an ongoing basis and are amended, as appropriate, in response to changes within and external to the Group. The Board attended an externally-facilitated workshop on King IV and has incorporated the new code in the 2018 Integrated Annual Report where feasible at this point. The assessment of the extent of our compliance with the new Code is available here.